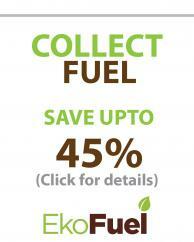 EkoFuel bioethanol firelighting gel is a high quality bioethanol gel made from rectified ethyl alcohol (ethanol). It has been denatured in accordance with Commission regulation (EC) 3199/93 to produce a gel which burns cleanly and has very little odour, if any. We guarantee that the fuel we sell has been rectified to remove a lot of the other alcohol normally present, producing a cleaner burning and smelling fuel. Not all bioethanols have had this extra process step. High bioethanol content, easy to light. Safe non spill, non flare gel formula.